The Adjustable Minute Meter Guard is engineered to secure all styles of ringless meter sockets and CT cabinets regardless of material thickness. It incorporates a hex design that allows the top plate to adjust in 60° increments. 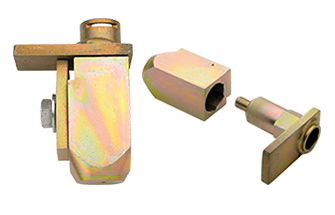 This feature is desirable when mounting near conduit or odd shaped enclosures.